•	Table has 2-15” self-storing leaves that can be stored inside the table top. This protects the leaf from damage while not in use and makes them easily accessible. 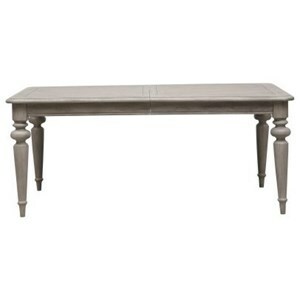 •	A unique feature of this table is that the table legs remain stationary and the top actually opens without moving the table legs. 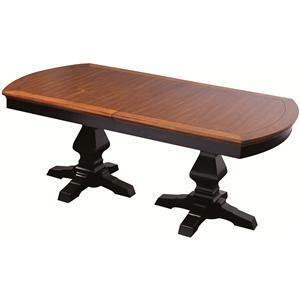 The table top glides on ball bearing mounted tracks which makes the table especially easy to open and close-very smooth operation that one person can do! •	Table utilizes brass leaf alignment pins that will not rust or break and allows for a precision fit for the leaf into the table top. •	Sash-type table locks are used to ensure a secure fit for the leaf. 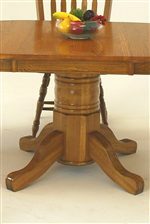 The sash type locks allow the table to be locked up tight when in the home as it helps the table maintain structural integrity over the lifetime of the table. 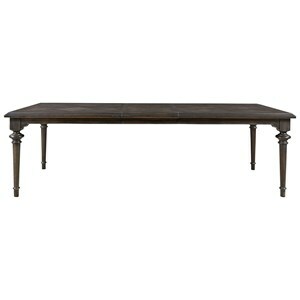 The Classic Oak Solid Oak 4-Leg Dining Table with Two 15" Leaves by GS Furniture at Mueller Furniture in the Lake St. Louis, Wentzville, O'Fallon, MO, St.Charles, St.Louis Area, MO Furniture Store and Belleville, Shiloh, O'Fallon,IL area. Product availability may vary. Contact us for the most current availability on this product. Leaves Table has two 15” self-storing leaves that can be stored inside the table top. This protects the leaf from damage while not in use and makes them easily accessible. 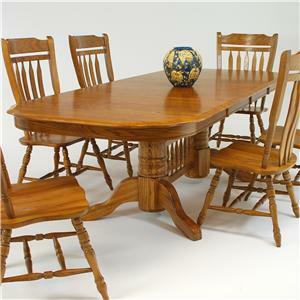 During the late 18th century, the Golden Oak style became fashionable and extremely popular all over America. Due to the enduring qualities of the furniture, the advent of mail order catalogs, and advancements in rail transportation, the style was common in both rural areas and cities. 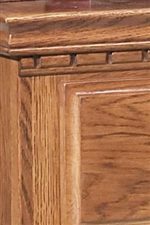 With an emphasis on extremely durable and strong pieces, the inspired Classic collection focuses mainly on strong solid oak construction that will last you for generations. 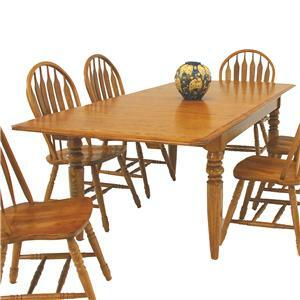 Each piece in this collection will bring a warm, country-side style to your dining room. 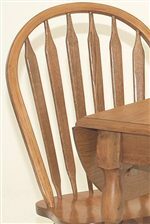 Offering both formal and casual designs in a Chestnut finish, you will easily be able to find pieces that fit your home. 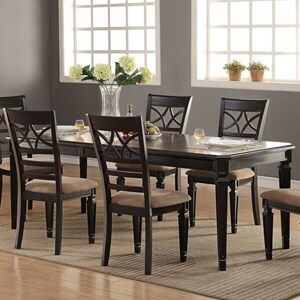 Give your dining room a peaceful and cozy atmosphere with the wholesome Classic collection. 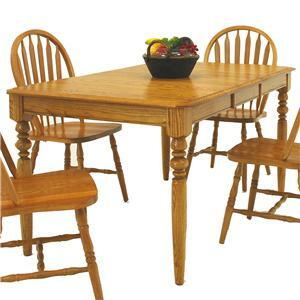 The Classic Oak collection is a great option if you are looking for Traditional Casual furniture in the Lake St. Louis, Wentzville, O'Fallon, MO, St.Charles, St.Louis Area, MO Furniture Store and Belleville, Shiloh, O'Fallon,IL area. 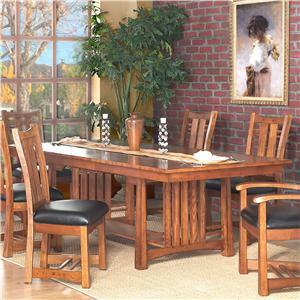 Browse other items in the Classic Oak collection from Mueller Furniture in the Lake St. Louis, Wentzville, O'Fallon, MO, St.Charles, St.Louis Area, MO Furniture Store and Belleville, Shiloh, O'Fallon,IL area.